He is the man behind The Secret Transit Codes of America’s Highways Dollar Baby Film. Brian Berkowitz: I am currently entering my final year at School of Visual Arts in New York City. I’m 22 years old working full time as a photographer while I finish up my final year at school. SKSM: When did you make The Secret Transit Codes of America’s Highways? Can you tell me a little about the production? How much did it cost? How long did it take to film it? SKSM: How come you picked The Secret Transit Codes of America’s Highways to develop into a movie? What is it in the story that you like so much? Brian Berkowitz: I read the short story, which in actuality is titled “All that you love will be Carried Away” in the summer of 2002 and I immediately wanted to adapt. I just felt an immediate love for the character and his personality and how you could see inside his head and learn what goes through an unstable mind. Brian Berkowitz: I was unaware that he sold rights. I made the film for a class assignment and when I was happy with the results, I went about getting right to display the film in some festivals and the like. Brian Berkowitz: This was a year and a half ago. Unfortunatly , nothing particular from that shoot stands out. SKSM: How does it feel that all the King fans out there can’t see your movie? Do you think that will change in the future? Maybe a video or dvd release would be possible? Brian Berkowitz: I am glad that King fans have the opportunity to see this film. If people are fans of this particular short story, I am happy to give them an opportunity to see it on film. Brian Berkowitz: I’ve had no personal contact with Stephen King while making this film, aside from getting those rights for $1. As far as I know he hasn’t seen it but I would be glad to show him if he’s interested. Brian Berkowitz: Right now Im in the middle of going through a bunch of short stories to find the next one for me to film. Some of them happen to be Stephen King stories but I havent made a final decision. Hopefully soon I’ll pinpoint the story I’m going to use. If anyone know some good Stephen King short stories, drop me an email. Brian Berkowitz: Thanks for eveyones support and keep watching, I’ll have a new film out within a year!! He is the man behind Rainy Season Dollar Baby Film. Nick Wauters: I was born and raised in Belgium, moved to the states where I attended Oberlin College, before moving to Los Angeles. After getting started as a production assistants on various television shows, I became an editor on reality shows and continued writing screenplays the side. SKSM: When did you make Rainy Season? Can you tell me a little about the production? How much did it cost? How long did it take to film it? 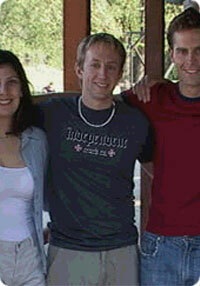 Nick Wauters: We shot the film in the spring of 2002. It’s been a while, so i can’t remember the exact number, but I believe we spent around $10,000 total on the production. It took 3 days to shoot and many weeks of post production. Most of the people involved volunteered their services. SKSM: How come you picked Rainy Season to develop into a movie? What is it in the story that you like so much? Nick Wauters: I had read Rainy Season 10 years earlier and loved it. I thought it was such a great mix of horror and comedy… It reminded me of horror classics from the ’50s, and movies such as the Blob. It followed the outline, structure and rules of a typical horror story, yet had a tongue-in-cheek twist to it. loved it! Nick Wauters: I had heard stories, but didn’t know if they were true. I just wrote him a few times then it just happened. Nick Wauters: I would of course, love to make another Stephen King story. We did look into it for a while, however the cost of producing a short and not being able to recoup your investment is considerable. Who knows, maybe in the future, I can take it to the next step. The Mist is one of my favorite stories. I believe Frank Darabont still own the option on it. I think it’s a great story and I love the open ending. The man In The Black Suit, from Everything’s Eventual, is also one of my favorite short stories. He wrote the script of Jack Sawyers‘ Gotham Cafe Dollar Baby Film. Peter Schink: I’ve primarily been a feature film editor in Hollywood for the last 16 years. I’ve done some Second Unit Directing as well as some music video directing. More recently I’ve been doing some writing and producing. I wrote a horror feature called “Legion” and have Gregory Dark attached to direct that one. SKSM: When do you make Gotham Cafe? Peter Schink: We’re aiming at shooting at the end of July. SKSM: Can you tell me a little about the production? Peter Schink: We’ve got a great leading man in Ingo Rademacher (Jax from “General Hospital”). Cullen Douglas will blow you away with his portrayal of a Maitre d’ who is off-his-rocker. And the beautiful and fantastic Julie Sands is playing Ingo’s angry wife. I’m lucky to have such an experienced and enthusiastic cast! SKSM: How much do you think it cost? Peter Schink: We’re spending more than most of these Stephen King dollar babies. I’ve been in the business a long time and I’m only interested in doing something as polished as the feature work I do. Also I’ve got some great, talented friends who’ve been in the industry for a long time, helping me out. SKSM: How long wil it take to film it? Peter Schink: We’re looking at a six day shoot which is a long shoot for a fifteen minute film but we want to get it right! SKSM: How come you accepted Turtle Bay Entertainment’s offer to direct Gotham Cafe? Peter Schink: It’s a favorite of King’s stories and I thought I could do something with it cinematically that’s a little different. Short films are a different media than feature films. I think it’s an opportunity to do something different that may not support itself for an entire 90 minutes. I’m planning on this one being very stylish. Peter Schink: There are some interesting themes: people hung up on petty problems in the midst of life-or-death situations. And how the most minor of details can ultimately determine our fate. SKSM: How does it feel that all the King fans out there can’t see your movie? Do you think that will change in the future? Maybe a video/dvd release would be possible? Peter Schink: Well, they CAN see the film. They’ll just have to track us down at festivals. Mr. King is pretty specific about the usage of the film but who knows what will happen in the future? SKSM: Did you have any personal contact with King before making the movie? Peter Schink: God! There are so many! I’m still anxiously awaiting “The Mist” someday. I really love “The Boogeyman” I think that might have been the first King story I ever read and it kept me awake for years after that. In my new house I can’t see the closet door when I sleep. I like it that way! Peter Schink: Hopefully we’ll be coming to a festival near you soon. Track us down! 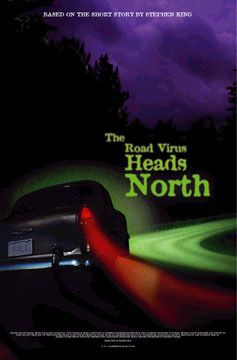 He is the man behind The Road Virus Heads North Dollar Baby Film. Dave Brock: My name is Dave Brock and I just received my Masters Degree in Film Production at Ohio University in Athens, Ohio. For most of my life I’ve been a student, although now that i’m at the end of my academic career, I hope I can put this final degree to some use! SKSM: When did you make The Road Virus Heads North? Can you tell me a little about the production? How much did it cost? How long did it take to film it? Dave Brock: Trying to make RVHN hasn’t been easy, with most of the problems we experienced having something to do with money. We got the rights back in 2001, so it’s been pretty slow and, at times, laborious. Making any kind of project in an acedemic setting can be a hassle, considering the nature of film school and the myriad hoops a student must jump through in order to get anything done. We had a few false starts and some scheduling snafus with a couple of actors we had approached, but everything finally fell into place and we were finally able to shoot it in December of 2003 for a period of seven days on a (non) budget of $10,000 (financed entirely by student loans). The really cool thing is that I was blessed with an extremely talented crew who made the production value seem as if it had cost five times as much to make it. SKSM: How come you picked The Road Virus Heads North to develop into a movie? What is it in the story that you like so much? Dave Brock: I blame my sister Rebecca for that one. I remember the phone call I got from her one night during my first year in film school, when she absolutely raved about the story after she read it in an anthology called “999.” I knew why she liked it so much: when we were kids, we were both freaked out by an episode of Rod Serling’s “Night Gallery” in which Roddy McDowell plays this snotty nephew who hastens his uncle’s death so he can claim an inheritance that wasn’t even his. What he inherited was a spooky old house and a painting of the family graveyard…in which he sees his dead uncle rise from the grave, shamble towards the house, open the front door…man, that was creepy! I guess it was the reaction we had to that episode, to the idea of a picture that changes, that all of a sudden came back to us and why we had reacted so strongly to RVHN. We thought it would be very, very cool if we had even the slightest opportunity to make it. Dave Brock: I’d read about Mr. King’s kindness to struggling filmmakers in numerous articles, but in his foreword to “The Green Mile” screenplay, he went in to more detail about it as he spoke about Frank Darabont’s wonderful “The Woman In The Room.” I’m not sure if he remembers me, but I worked as a production assistant for Jay Holben for a couple of days when he shot an independent horror film in West Virginia way back in 1997. A few years later, when I read that he wrote and directed his own dollar baby called “Paranoid” (which I’d love to see) we contacted him and he generously shared his experiences in securing permission from Mr. King. My sister, along with a couple of friends of mine at film school, helped with the five months of follow-up after our initial contact in April of 2001, and we finally received permission from Mr. King’s office to start production in September of 2001. Dave Brock: I’d say the funniest moment for me personally was towards the end of the shoot, when we were shooting Richard’s confrontation with the Road Virus. Denny Dalen, who played Richard, is a highly respected actor and theater professor here at Ohio Univerisity, and was a real trooper throughout the shoot. Anyway, here we are, in Richard’s home, the front door flung wide open, poor Denny being blasted with ice cold air from a gigantic industrial fan while being simultaneously blinded by a pair of HMI’s that were stacked on top of one another, and I’m just screaming monosyllabic instructions at the top of my lungs, like “FLICKER! LIGHTS! DOOR!”, which the crew used as cues for the scene. After the second take or so it really started to seem a little absurd (it was getting late and I was getting loopy), and all of a sudden I recalled this television image of a paratrooper practicing in a wind tunnel, his lips flapping uncontrollably because of the high-pressure blast of air hitting him in the face. So I’m watching Denny and I was imagining his lips flapping uncontrollably because of the huge fan in front of him, and I just lost it. I almost had to leave the room. I’d say a special moment occurred on the first day, when I saw the beautiful set for the nightmare sequence (which was in the basement of a crumbling old asylum, by the way) and had the privilege of watching these really talented people working so hard after so many months of trying to get the movie going. It was pretty surreal. SKSM: How does it feel that all the King fans out there can’t see your movie? Do you think that will change in the future? Maybe a video release would be possible? Dave Brock: Well, Mr. King’s agreement is pretty explicit as to the types of exhibition the filmmaker is allowed to pursue, and for a very good reason. I think Mr. Holben explained this reason very eloquently in his interview on your site, and I’m glad that he did. I’m in the process of drafting a request to Mr. King’s office for another exhibition possibility, but in the meantime, I’m very thankful for the opportunity to be able to submit the film to festivals, and more importantly, I’m just thankful to have had the opportunity to make something that Mr. King had written, with his permission! Dave Brock: Mr. King’s assistants, Julie Eugley and Marsha DeFillipo, have always been kind and helpful to us and have just been wonderful. We haven’t had personal contact with Mr. King, but we are in the process of putting together a final package containing the film and other materials that I hope to send out to him soon. I really hope he likes the movie! Dave Brock: Oh, god…I think he wrote in one of his introductions that someone once told him that if he published his laundry list, people would buy it. I know I would, and I’d probably ask his permission to make a short film about it. Whatever he writes, I’d love the opportunity to shoot it! I’m thrilled that Frank Darabont has the rights to “The Mist;” I think he’d do an amazing job. Dave Brock: I’d like to thank Mr. King, of course, for his generosity, my cast and crew for a job very, VERY well done, my sister Rebecca for starting the whole thing, and to Ms. Eugley and Ms. DeFillipo for all the help. And to the others fortunate enough to secure permission to make a dollar baby, I wish you all nothing but the best of luck and I really hope that you had (or will have) just as much fun making a Stephen King story come to life as we did! Cast: Kent Vaughan, David Cherry, Laurie Morgan, Ann Simmons, Shelby Dominique, Ronald Quigley, Erick Holloway, Zander Schaus, Shaun Smith, Brian Blum, Joshua Hunter Adams, John T. Woods. Script: Dave Brock, Rebecca Brock & Anthony Simms Jr. Cast: Dennis Dalen, Alan Christy, Matt Brock, Dolores McDougal, Sylvia Hutson (Read interview 2), Pat Elisar, Trip Plymale. 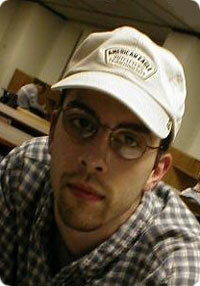 James Renner: My name is James Renner, and I’m a freelance writer/director living in Cleveland, Ohio. Recently, I’ve had several articles published in a weekly magazine out here called, “Scene”. My favorite piece so far has been the story from March about three local police officers who chased a UFO into Pennsylvania in 1966. I also work on films and commercials when they come to town. SKSM: When will you make All That You Love Will Be Carried Away? Can you tell me a little about the production? And how long take it to film you think? James Renner: I recieved the rights to All That You Love…in August of last year. Since then, I’ve been trying to secure financing for the project. We actually had an investor who pulled out a day before we started shooting. I had to end up putting most of the expenses on a credit card. But, we did start shooting April 19th, and it went very well. Better than I could have hoped, actually. Now, I have to begin the editing process, and eventually work with the composer from Cleveland State who will write original music for the piece. His name’s Mike Bratt. 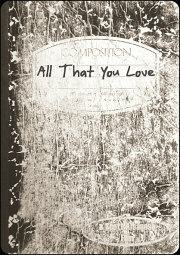 James Renner: All That You Love… stands out from King’s usual writing in some way. First, it has no supernatural element, no monsters. It’s a simple story about a traveling salesman, and his search for purpose. Alfie Zimmer, the central character…the only character really, is just such a cool guy. He’s very funny, even if his intention is to kill himself. James Renner: I’ve been checking in with King’s office twice a year since I was 17. I found his office number while I was doing research for some high school paper. SKSM: How does it feel that all the King fans out there can’t see your movie at the time when it’s ready? Do you think that will change in the future? Maybe a video release would be possible? James Renner: I don’t know if there will ever be a video release, but there are other ways for fans to see these dollar babies. 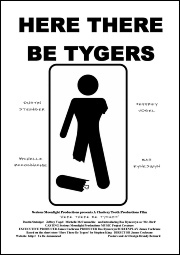 Hopefully this will land in some festivals, and of course there’s the internet. I don’t want to make a profit. I just want to make something King will really like. James Renner: I met him once at a reading in Princeton. I didn’t go there, I just crashed the reading. It was so great to hear him in person. He’s got a wonderful stage pressence and a terrific sence of humor. He looked up at the top balcony and said, “I think I saw some pieces of plaster falling from underneath you guys. Good luck up there” or something like that. James Renner: I would be happy to direct any future King story. They’re all wonderful. I have my favorite, but I’m not about to spill those beans. Cast: John Viener, Reb Fleming, Geoff Hansen, Eric Jacobs. He is the man behind The Man In The Black Suit Dollar Baby Film. 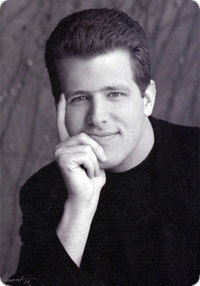 Nicholas Mariani: My name is Nicholas Mariani and i was born in Salt Lake City, UT and raised in Rochester, MN. 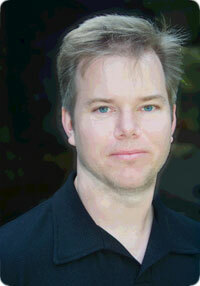 He has worked on numerous commercials, feature films, and IMAX movies. 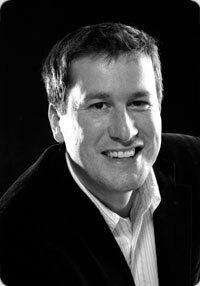 In 2002, he served as Post Production Supervisor on the animated film The Princess and the Pea and the live action feature Jumping For Joy, which won an audience award at the Chicago Film Festival. 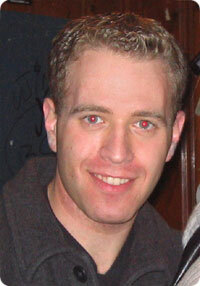 In 2003, he produced the short film Flash in the New York City area. He is a graduate of New York University’s prestigious film program. The Man in the Black Suit marks his directorial debut. SKSM: When did you make The Man in the Black Suit? Can you tell me a little about the production? How much did it cost? How long did it take to film it? Nicholas Mariani: The film was shot in the summer of 2003 on location in Park City, Utah with the crew from CBS’s hit television show ‘Touched By an Angel‘. It was a twenty page script. We shot it in two days. The longest day was nine and a half hours long. 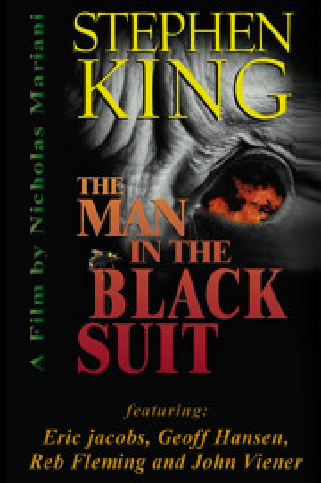 SKSM: How come you picked The Man in the Black Suit to develop into a movie? What is it in the story that you like so much? Nicholas Mariani: I thought it was a very interesting presentation of grief. Rather than deal with a heavy-handed one to one sort of thing, King converted what is essentially a tragic family drama into a sort of horror piece in a very interesting way. I thought it was a very compelling piece of material that had a lot going on in it. It’s got a lot of layers and on the surface, it’s a very engaging story, but there’s also a lot going on underneath it all. Nicholas Mariani: No. I had no idea. In fact, I had approached a lot of other authors before I even thought of King. It was really just dumb luck. After getting rejected by every author in town, I sat down and read King’s latest short story collection just for pure fun and stumbled onto “The Man in the Black Suit“. I loved it. I thought ‘there’s no way Stephen King would ever let me do this.’ But, at that point, I figured I had gotten a rejection letter from everyone else, so I might as well complete my collection. To my surprise and astonishment, he said ‘yes’. Nicholas Mariani: Not really. The whole production went pretty smoothly. That’s the benefit of working with a professional crew. I suppose the one bit of ‘trivia’ that jumps to mind is the fish we use in the beginning, which is a live fish, was actually caught about thirty seconds before the shot was taken. We had a fisherman come that day and just dropped his line and pulled out a beautiful trout for us to use. Just like clockwork. The guy really knew what he was doing! Incidentally, the fish lived and we put it back right away, so please, all you animal activists out there, don’t write me any letters. Nicholas Mariani: Oh, they can see it. I have film festival rights and the right to show it privately. Other than that, it’s all done on a case by case scenario with King. Nicholas Mariani: I sent him a copy but have not heard from him. Nicholas Mariani: Nothing specific jumps to mind. Everything King’s written with the exception of maybe five or six titles has already been made. I’m excited to see what Vadim Perlman does with “The Talisman” and I’m also excited to see how “Riding the Bullet” translates. Nicholas Mariani: I’d like to offically thank Stephen King once again and say I think it’s very cool and refreshing to see someone of his stature willing to help someone like me. Also, if there are any Hollywood producers reading this who are looking for a director, contact me immediately! !